I have heard about the Millenium trilogy for many years. And while I have always been meaning to pick it up, I never have in the past because mystery thrillers aren't really my cup of tea. However, I finally gave in to the temptation and took it off my bookshelf. Beginning with the hint of something amiss when a framed flower is delivered to an old man, we begin the tale with Mikael Blomkvist at the lowest point of his journaling career. With a looming prison sentence ahead of him and the laughing stock of Sweden, he decides to escape from the busy buzz of the city and takes up an offer by an eccentric businessman. The proposal sounds intriguing: work for him for one year on a family biography and he will offer Mikael his nemesis' head on a plate. However, there is a catch - Mikael must also delve into the family secrets and try to solve a four decades old mystery. 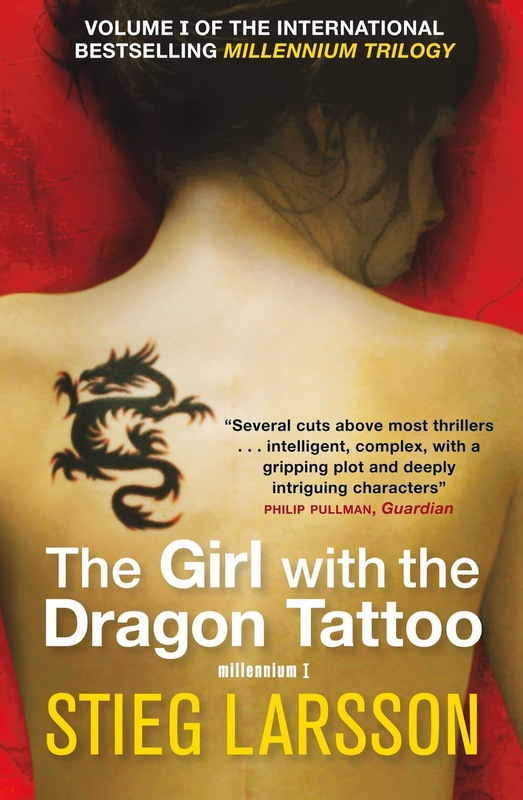 Right from the get go, I could tell The Girl with the Dragon Tattoo is not what I was expecting it to be. Everything about it is a bit different but somehow, it all worked. It read to me very much like a detective show, with a lot of cutting from one scene to another abruptly. There is a vast cast of characters from all walks of life. There are multiple concurrent storylines that eventually weave together, allowing these characters' lives to intersect. In normal day life, it will be probably hard to imagine this hodge podge cluster of characters encountering each other. However, under the strange circumstances set within this novel, it sort of worked. Writing-wise, there is a lot of descriptive narration. A simple event such as Mikael getting up for a jog and then having breakfast at the local diner takes a good page and a half of description. This normally wouldn't work in many other novels but somehow, I didn't mind it in this novel. Instead of boring me to tears, I felt as if Stieg Larsson is presenting all the information as he sees them and it is up to the reader to catalog and filter through them for clues like a detective. The setting is great. I haven't read too many (to be honest, I can't think of any off the top of my head) books set in Sweden. Plus, I got to learn quite a bit about Swedish history and involvement in world war II, which I didn't know about before. However, before anyone picks up this book, I must warn you, there are a lot of confronting themes within this novel. There have been particular graphic moments where my gut instincts have been to skim ahead and I had to force myself to slowly read it through. The scenes themselves weren't too graphic but the themes they contained were. So a fair warning to you all before you start. The overarching plotline itself is interesting. It is great but nothing mindblowing. I think The Girl with the Dragon Tattoo's success is instead built on its unique writing style, the vast host of characters and the confronting themes that it highlights. I have high anticipations for the next instalment in the Millenium trilogy. 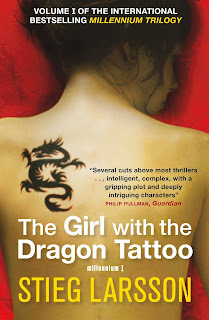 Overall, I really enjoyed reading The Girl of the Dragon Tattoo. It is not something I normally reach for but its quirky combination of descriptive narration, vast cast of characters, and intriguing but dark plotlines make it a gripping read. I will definitely be continuing on with this series. This was indeed quite a gripping tale. I couldn't put it down and I raced through all three books. I'm interested to see what you think of the series as a whole when you finish it.